With its brand new Smart Motion Technology, the VINTAGEIS5 revolutionises the working position at the desk. The dynamic seat tilt, which can be adjusted to suit individual body weight and size, seamlessly expands the traditional synchronous movement. 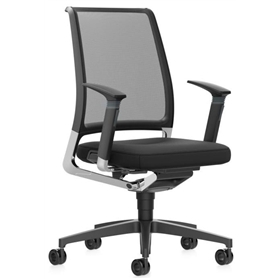 The Smart Motion Technology uses kinematic processes for frequent seating position changes and supports an ergonomic body posture. Although this cannot reduce the workload, it can relieve stress and tension caused by long periods of sitting. Flexible armrests that dynamically readjust.